Discover why to use images in your marketing, where to find them, and how to use them to engage customers and convert visitors. Get your hands on this free collection of stock photos for your business. Marketing is about more than simply conveying a message to your customers. It also involves emotions, needs, and desires. In order to invoke those strong feelings from consumers, you need to add a little more oomph to your marketing and advertising — through images. Marketing or ad copy without images is like ice cream without toppings … it gets the job done but it doesn’t quite excite you, does it? The same goes for text-only ads, blog posts, site pages, and more. Sure, you get your message across, but does it really leave an impact? Probably not. That’s why you need images in your marketing. This guide will walk you through the benefits of using images in marketing, what kind of images you might use, and how and where to use them. Keep reading to get started, or use the chapter links below to jump ahead. Seeing a gorgeous image or breathtaking photo typically sticks with us longer than what we remember from reading a short description, blog post, or advertisement. We actually recall over 65% of what we see … versus 10% of what we hear. We live in a fast-paced world, and consumers see over 5,000 advertisements a day. Images are crucial in marketing because they’re digested quicker. It takes readers almost 10 seconds to process and decide on the value of written text, not to mention the time required to read it. On the other hand, the mental and emotional impact from an image happens almost instantly (in about 100 milliseconds). Images encourage readers to stick around. According to TIME, your website visitors likely don’t stay on your website or blog for more than 15 seconds. Interesting and engaging images can help your visitors want to spend more time on your articles and site pages. Whether your content includes images that illustrate text or simply accompany an article, readers want to see visuals. Articles and blog posts that contain images get over 90% more total views than those without. Press releases also see a 45% increase in views when a photo or video are included. The same goes for social media. Tweets with images receive 150% more retweets than tweets without images, and Facebook posts with images see over 2x more engagement than those without. BuzzSumo also found that articles featuring an image every 75-100 words were shared twice as much as articles with fewer images. Online shopping might be more popular than ever, but buyers still wonder what their product will look like when it arrives. Don’t you? That’s why quality, accurate product photos are so important. 67% of consumers say the quality of each product image is very important when choosing and purchasing products. Customers also think that product image quality is more valuable than product information (63%), a detailed product description (54%) or customer ratings and reviews (53%). There are a variety of images you can use in your marketing, and a variety of places you can find or create them. Below we cover a handful of the most popular. Stock photos are pre-taken, professional photos and are the most convenient type of marketing image. You can find stock photos on a variety of sites, both paid and free. My personal favorite free stock photo sites are Pexels and Stocksnap.io. Shutterstock and Getty Images are popular sites for paid stock photos. While stock photos are convenient, they don’t always accurately represent your brand. If you have the time and resources, I recommend taking some of your own on-brand photos that you can reuse in your marketing and advertising efforts. Consider them stock photos, but for your use only … and with today’s technology, high-quality imagery is easy to capture on smartphones. Marketing images don’t always have to be real photography. Any sort of relevant visual stimulant can add immense value to your writing and website. Animated or digitally designed images are also referred to as “graphics,” and many companies utilize them to illustrate blog posts or simply incorporate a piece of their brand throughout written text. The images below are a few examples of HubSpot’s branded images that don’t use real photography but still add value to text-heavy web pages or blog posts. Free graphic design software like Canva makes it easy to create graphics like this. You might need to invest in professional software like Adobe InDesign or Photoshop for the more complex designs, but Canva is a great place to start. Infographics are images that have text and other information. 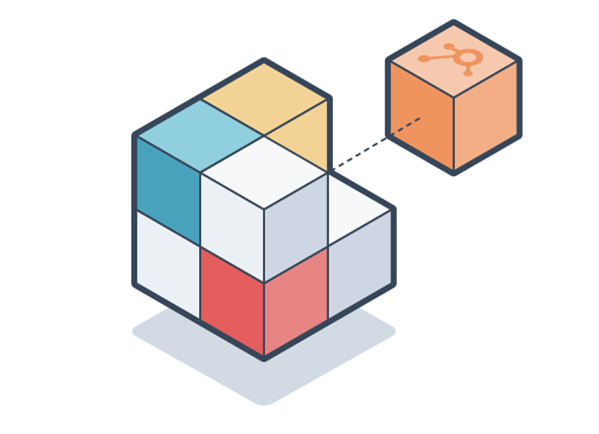 They essentially illustrate a blog post or story using visual data representation and symbols. Infographics actually increase web traffic by 12%. They also make life easier for your readers. A recent study showed that people following directions with text and illustrations do 323% better than people following directions with text only. If you’re publishing an in-depth blog post, how-to article, or important report, consider creating an infographic to accompany it. You can use software like Canva, Venngage, or Piktochart to create infographics for free. A GIF (which stands for Graphics Interchange Format) is an animated visual that features either moving parts of an image or a snapshot from a video, TV show or movie. GIFs were invented in the 1980s but have just recently become popular among brands and companies. There are a couple ways you can employ GIFs in your marketing. For one, you can create your own animated GIF of a graphic or visual. There are plenty of free or inexpensive tools that can help you do this with little or no expertise required. 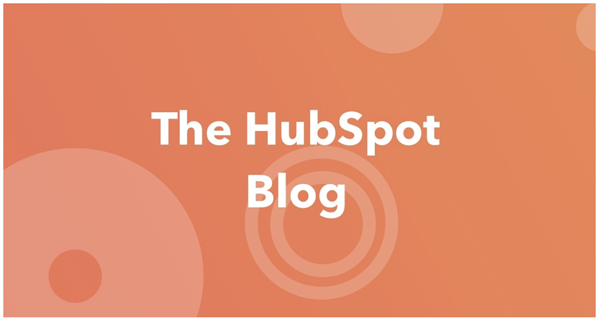 Here’s an example of an animated GIF created by and for HubSpot. The second way you can use GIF images in your marketing is by pulling from a pre-made library like GIPHY. GIPHY GIFs tend to be used to entertain or humor their reader, so make sure your chosen GIFs align with your brand’s personality. User-generated content (UGC) refers to images and video of your products or services that’s shared or published by customers. UGC is an incredibly effective marketing tool as it falls under word-of-mouth marketing … which has been proven to drive about 50% of all purchase decisions. UGC is also helpful because it encourages your customers to capture images and visual content for you. Lots of brands use UGC content on their website, social media, and even as product photography as it’s incredibly authentic and represents products and brands in real life. To learn more about how to add UGC to your marketing strategy, read our blog post here. Images have a place in almost every facet of your promotional strategies. Below we cover the most popular (and easiest) places to incorporate images and visuals into your marketing. Social media is certainly an image-heavy medium. Networks such as Instagram and Snapchat practically require images, but brands Facebook, Twitter, LinkedIn, and others also benefit immensely from the use of images and visuals. Whether you’re posting an image on your timeline or updating your account with new cover and profile photos, each network recommends certain images dimensions. Sizing images for social media use is important as incorrect dimensions can obstruct other images or cause your posts to be low quality — and therefore uninteresting to your audience. Note: Try to use the same identifier images — whether photographed or digitally designed — across all networks. These include cover photos, profile pictures, logos, and more. This helps build brand identity and awareness among your followers. Your customers get lots of emails each day. If they choose to open yours, you want them to stick around and read it, right? Of course. Images can help with this. Whether sharing product photography, branded images, or fun GIFs, sending emails with images can keep your readers engaged, interested, and better informed about the purpose of your email. Blog posts and articles are traditionally text-centric marketing efforts, but that doesn’t mean that they — and your readers — won’t benefit from a few images. When added to your content, images can illustrate your topics, engage your readers, and spice up an otherwise lengthy piece of text. Images within the blog post could be infographics, explainer photos, screenshots, or product images, and any blog post cover images (the image displayed at the top of the post and with the post summary) should represent the purpose of the content. Like we said above, product photos can help consumers choose and purchase your products — or persuade them to do the opposite. Consider investing in high-quality, professional product photography or utilize your best camera tools. If your product is digital, like software or a web application, include plenty of screenshots and animated GIFs to illustrate how your product looks post-purchase. Don’t forget to use UGC or encourage reviewers to post images of their product, too. A recent study by the Content Marketing Institute found that over 50% of B2B content creators cited “Creating Visual Content” as a top priority. How do you stack up? Images, graphics, GIFs, infographics, stock photos, user-generated content … there are so many different ways to employ visual content in your marketing. Better yet, it’s incredibly easy. Include some imagery next time you publish a blog post or send out an email. Your customers — and their attention spans — will thank you.